Uncategorized The Truth Shall Set You Free…From Accusations! The Truth Shall Set You Free…From Accusations! 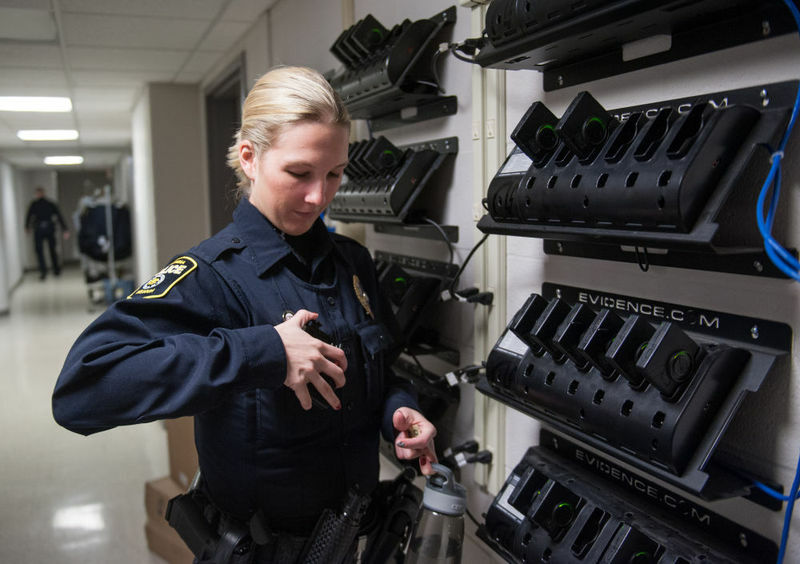 Police officers should be required, or at least allowed, to wear body cameras when on duty. Constantly, the news reports stories of people being harassed, and even killed, by police. And the public gets aroused and restless, wanting the policemen put in jail. But, this cannot happen because no one knows what actually happened. The policeman says that he was threatened, the victim says that he was innocent, and the witnesses have different stories. So how can we find evidence that will put everyone on the same page? Body cameras. Body cameras are cameras that can record video, and they are attached to police officers to film what really happens. Some people argue that these cameras invade the rights protected by the Fourth Amendment, but this is not so. Police cameras are not all that new, and body cameras have already been put in place. The positive effects of body cameras worn by policemen on duty greatly outweigh the negative effects. So not only do the body cameras help protect the public from criminals, but they still abide by the law because they are only used when necessary! It is technically legal for anyone to record anyone in public, so why should police not receive this right as well? They should! It is being done for a good cause, and it’s legal, so there is no good reason why police should not be allowed to wear body cameras. If some people still believe that body cameras are bad, there is further evidence to disprove them. Although body cameras are rather new, there is another type of police camera being used. These are called dashboard cameras. These cameras are installed on the inside of police cars, on top of the dashboard. They record what goes on in front of police cars. Majerol reports that these cameras in police cars “date back to at least the 1990s.” These cameras are widely accepted by the public and used throughout the country, so why shouldn’t body cameras be allowed? Well, some people will argue, that dashboard cameras don’t film inside people’s house like body cameras do. This is true, but policemen will not be filming inside people’s houses because they are not allowed in without a warrant. And, if the police have a warrant, then they are arresting a person who has broken the law, so they need the cameras. Without the cameras, headlines in the news about police harassments will keep popping up, whether they be true or false. Police cameras do not invade privacy or rights, nor are they anything new. Similar cameras have been used for decades, and we haven’t had problems with them. They are already being used in some places, and they should be used everywhere. Only good can come from body cameras; they are the solution to our nation’s police brutality problems. With having video evidence of what really happens, the public is a safer place.